Your child will enjoy his or her favorite book or television show while sitting comfortably on the Disney Cars 3 Saucer Chair. It's saucer shape makes it the perfect place to cozy up and lounge. The saucer chair is made out of a study metal frame with a polyester cushioned seat for extra comfort. The chair can be folded up for easy storage when not in use. 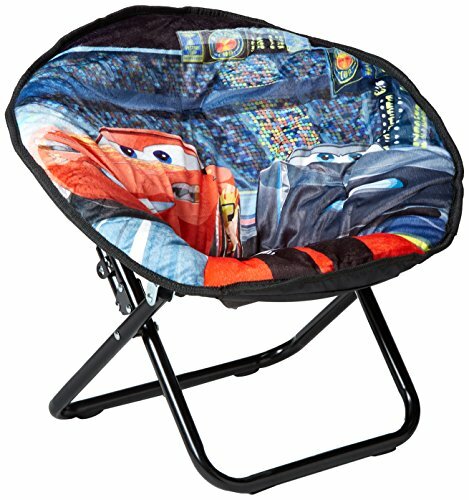 Featuring a Lightening McQueen design, your child will just adore this saucer chair in her room. Size: 18" x 18" x 18".